This ONE OWNER home offers 3 bedrooms and 2 full baths and one half bath. 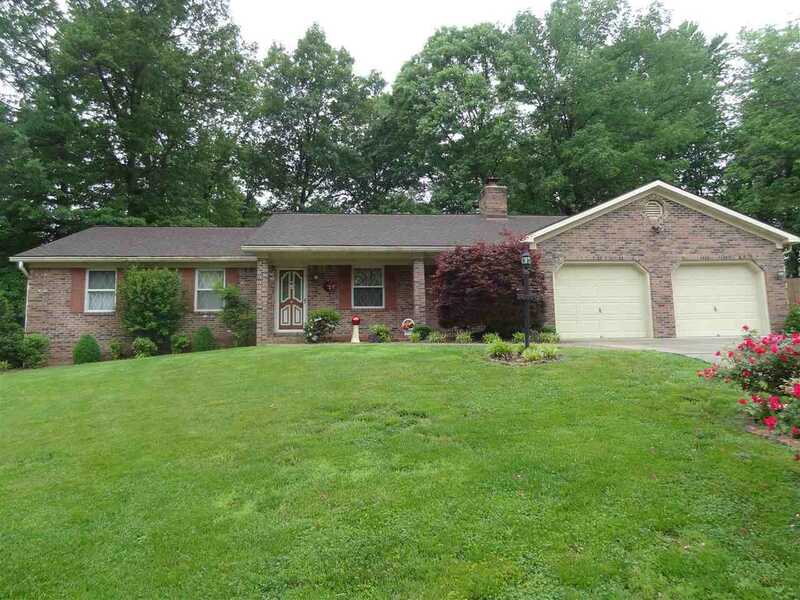 It is an ALL Brick ranch with a long entry foyer with a coat closet. The huge living room has a wood burning fireplace and the dining room has French door(s) leading out to the back patio. The kitchen has many beautiful cabinets for storage, large eat-in area, a skylight, a huge pantry, and natural tile flooring. There is a half bath off the kitchen and the laundry room (13 x 6) with a utility closet and exterior door that leads out to the backyard. The laundry room also would be great for a mud room. The master bedroom offers a full bath and a large closet. The bedrooms are over-sized with large closets. There is a linen closet in the hall way next to the hall bathroom. The 2 car garage has a walk up attic storage, storage closet under stairs, additional closet, and another storage cabinet area, plus a exterior service door leading to the sidewalk next to the house. Roof is 2005 per seller. This a MUST SEE! Directions:Hwy 41 North to West on Petersburg Road, North on Greendate Drive, West on Pleasant View, North on Green Hill Drive, Second house on left. SchoolsClick map icons below to view information for schools near 6576 Green Hill Drive Evansville, IN 47711. She is straight forward, honest, funny and a genuinely nice lady!